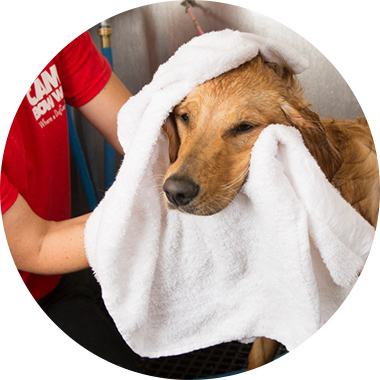 Contact us at (616) 896-9663 to learn more about our dog grooming services. Price depends on size and breed of dog. Call camp for Pricing! Daycare for only $13 when here for Grooming!